Building Description: 10 newly restored and tastefuly furnished apartments in one building managed exclusively by our agency. Our office is in the same building so we are here for you every day. Free internet available. 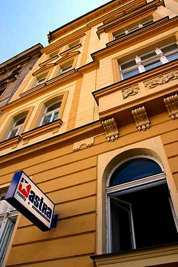 If you`re looking to live in Prague for an extended period of time, we suggest you to stay at KRASOVA CENTRAL APARTMENTS for a comfortable stay. Move and Stay allows you to book easily a Prague apartment, whether you`re looking for a serviced apartment, an aparthotel, or a residential apartment for rent. Many of our Prague serviced apartments come with full accommodations, including a full kitchen and a lounge.